Heavy Spring runoff in the watershed of the North Fork Payette River results in a very high and fast-flowing river. 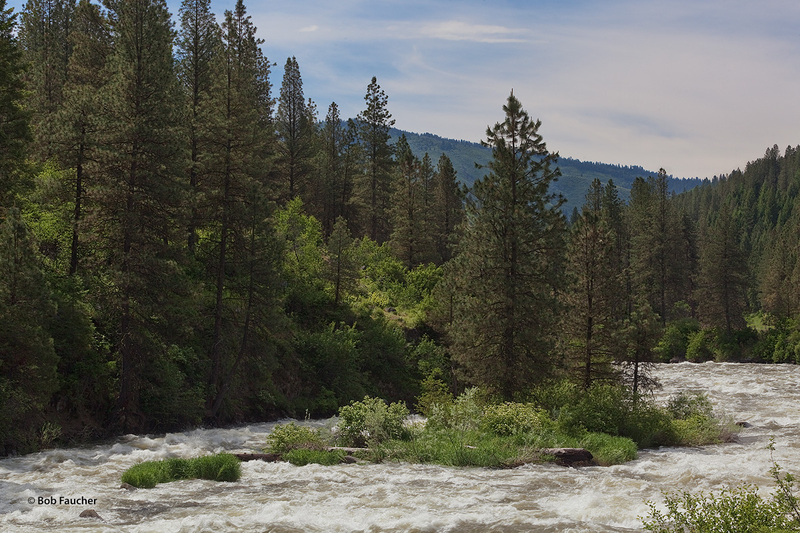 The river stretches over 113 miles from north to south, flowing from the Salmon River Mountains to near Banks, where it joins with the South Fork Payette River to form the Payette River, a tributary of the Snake River. Photo © copyright by Robert Faucher.